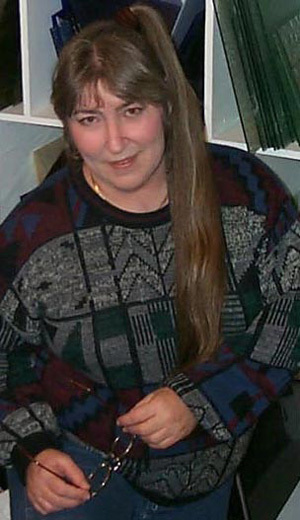 This is me, Shirl, a couple years ago. The hair is now longer but grayer and the cheeks are chubbier. This picture was taken in front of my stained glass storage unit.